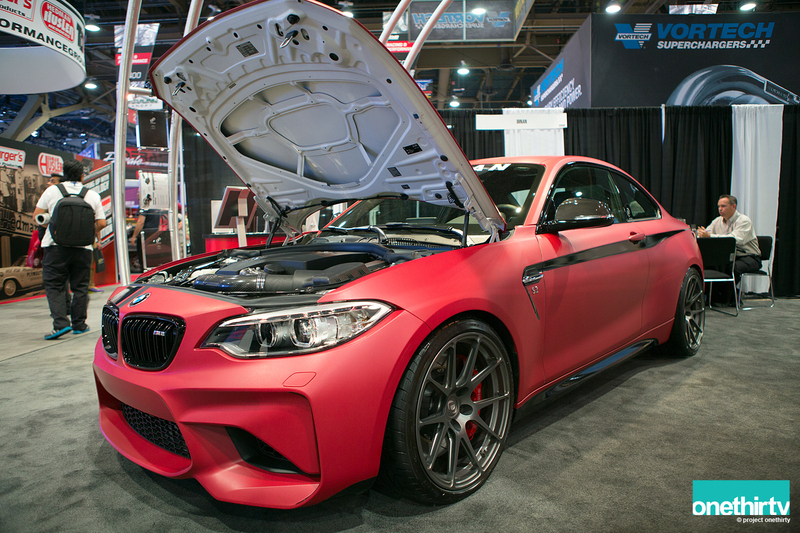 Our first day at SEMA continues. 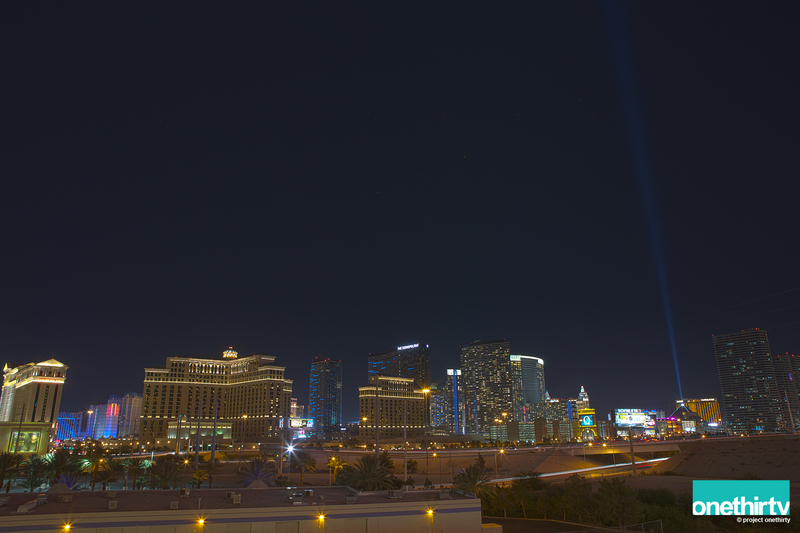 If you missed the early part of the day please check out Part I of our coverage. I think it was somewhere around midday when I started to feel as though I had walked 10 miles. Although I was very light as far as equipment went, I was already feeling it. 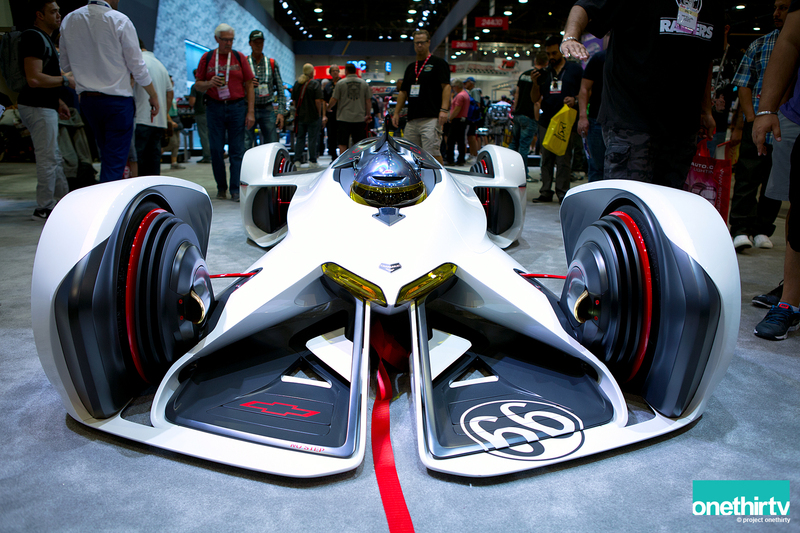 We started walking toward the South Hall when we saw this Colorado Race Support Concept truck towing a jet-powered racecar. As you can see, we were more intrigued by the race car than the support truck. 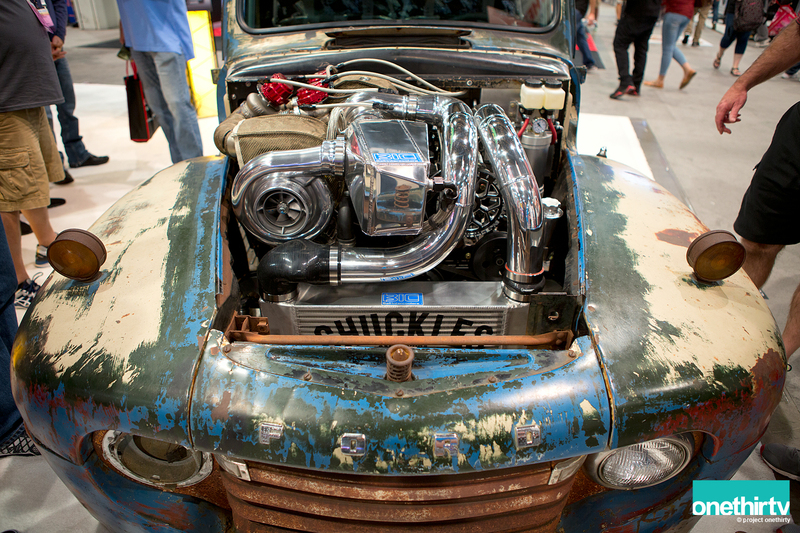 The Meguiars booth had this 1962 Chevrolet Bubbletop with a twin turbo LS motor. This was the best product of 2015, and it was my first time seeing it in person. 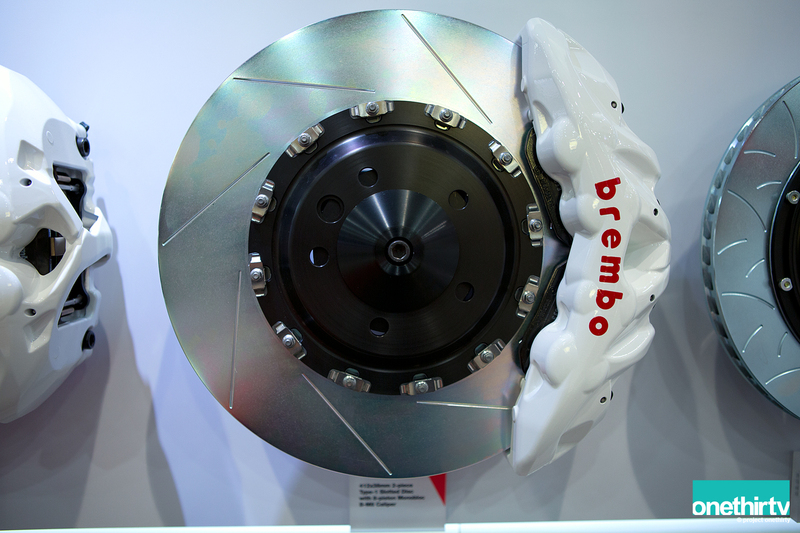 412x38mm 2-piece Type-1 slotted disc with 8 piston Monobloc caliper. 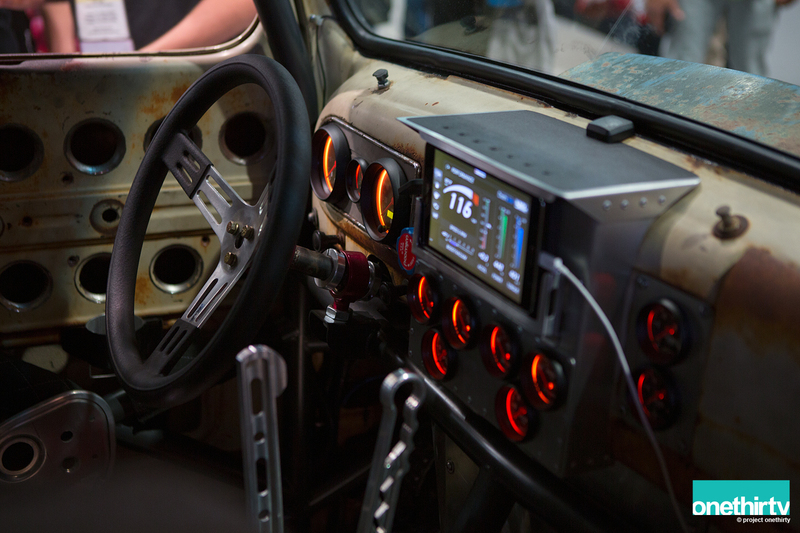 Normally used on big SUVs and trucks. 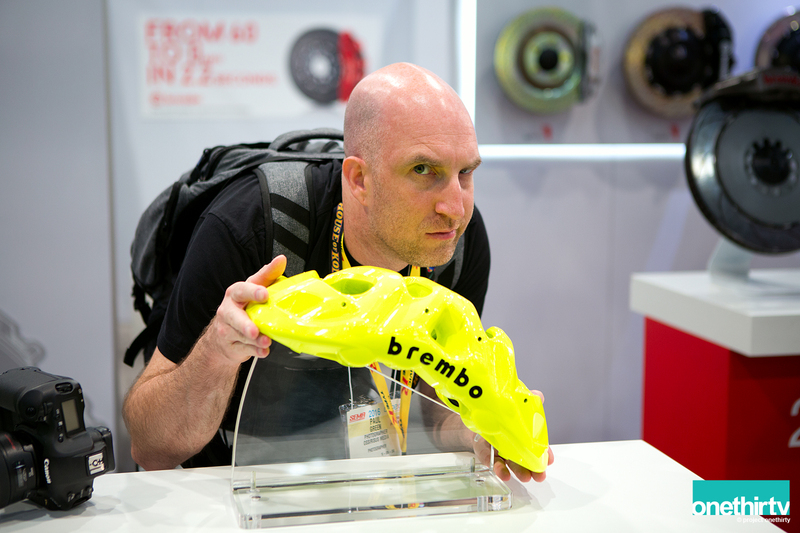 The caliper is so big, it looked like a bicycle helmet, as modeled by our very own. 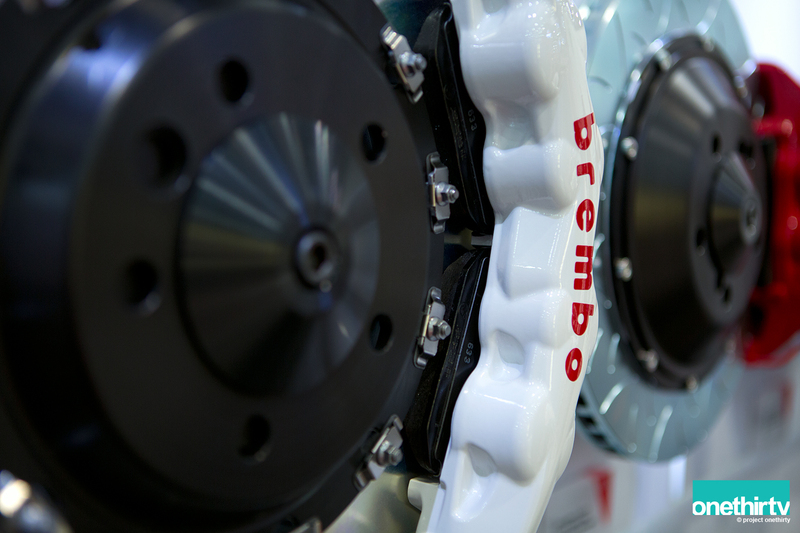 Brembo has always been one of our favorite booths to stop by; we have a weakness for multiple pistons and big circumference rotors. 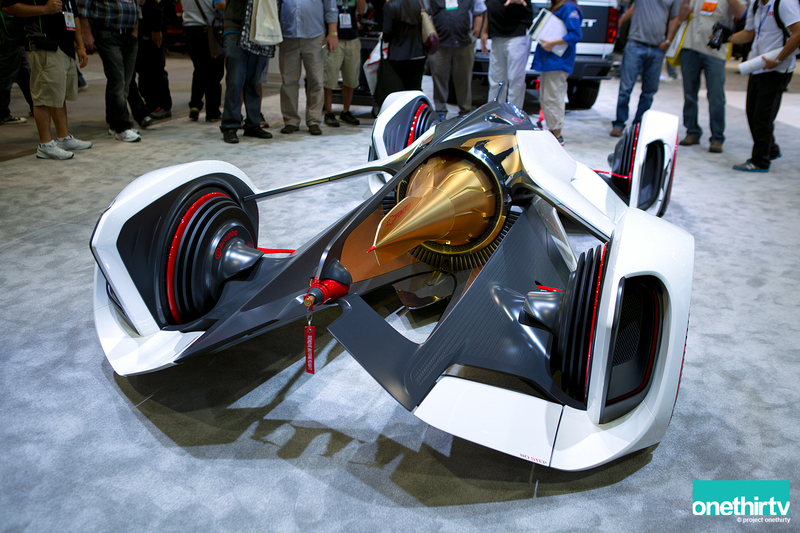 This is one crazy truck. 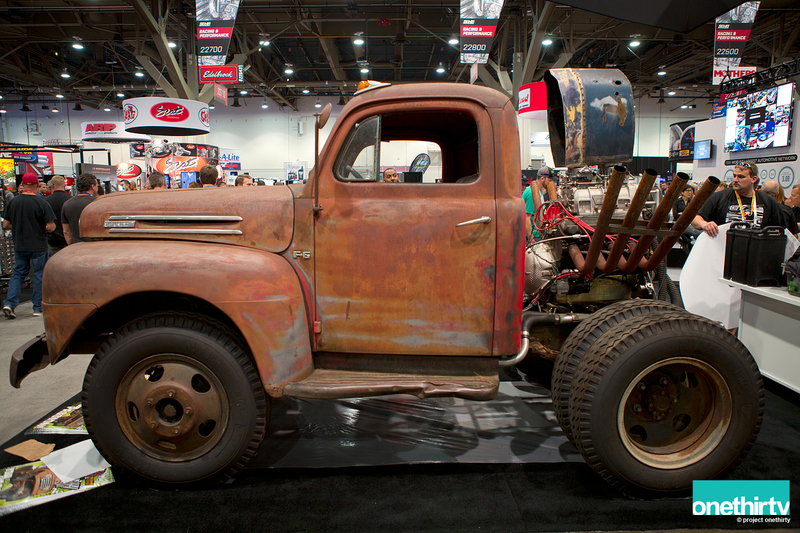 Old Smokey, a 1949 Ford F1 Truck. 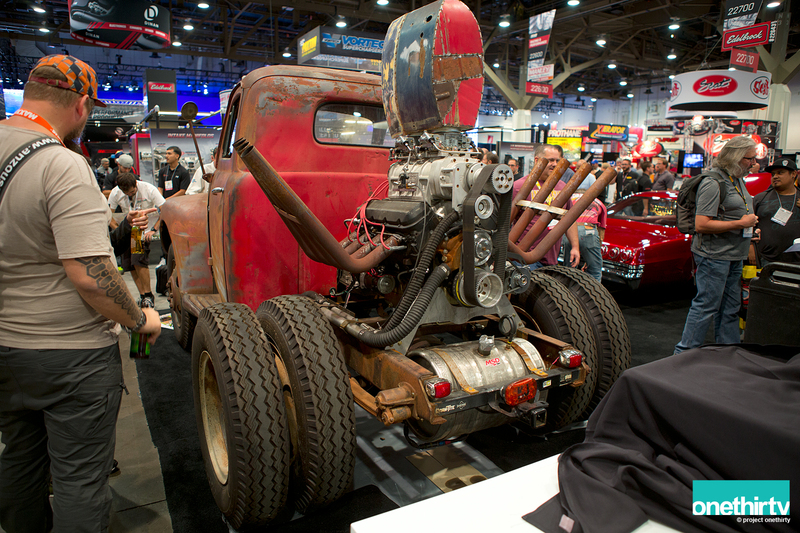 With a 1200HP Cummins engine. 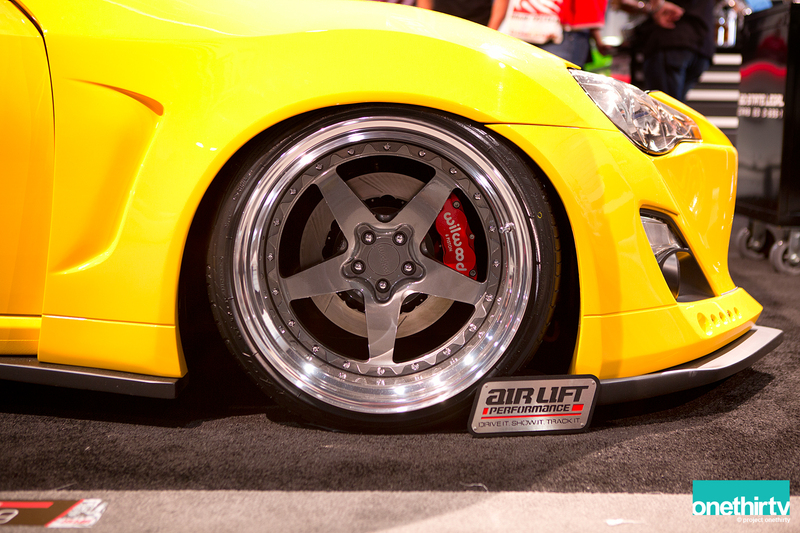 CCW wheels 18×10 and 18×14. A true wolf in sheep’s clothing. 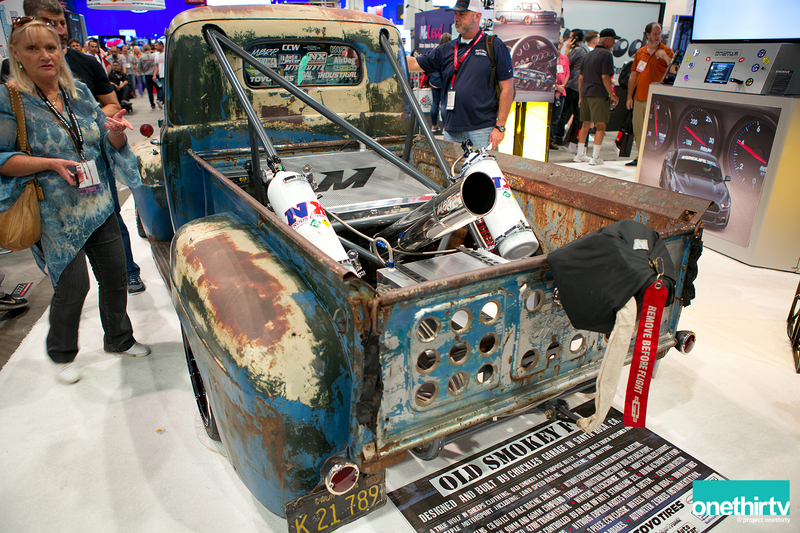 I am not sure how they can say this – you see 2 Nitro bottles and a massive exhaust coming up from the bed. 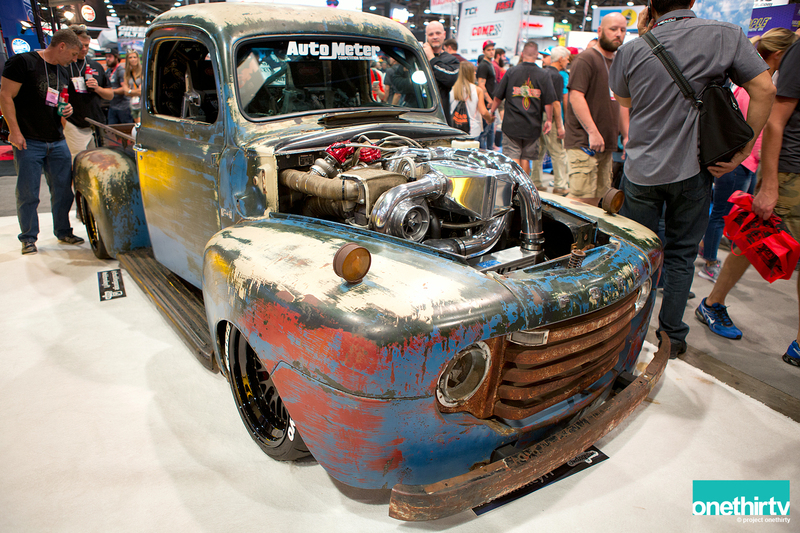 Not too far from it was this 1650 Ford F6, looking just as brutal as its older sibling. Right next to it was this incredible looking gold Datsun 280Z. 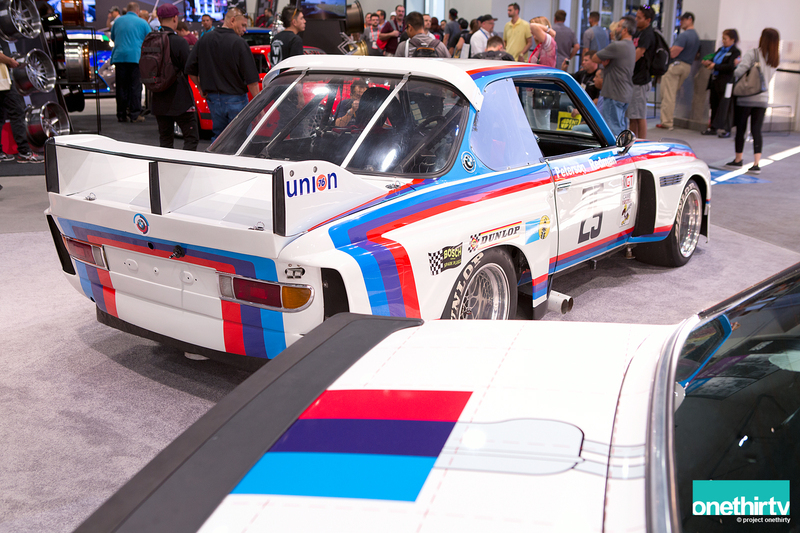 The S30 body is now wearing a widebody kit from Moonbeam. 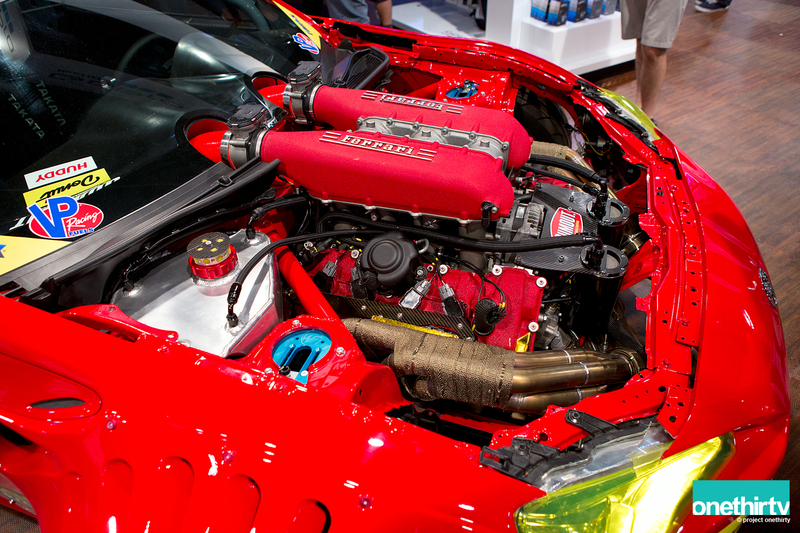 Under the hood is a RB25DET with a healthy turbo on it. Once we walked around, we started talking to the owner of the car and little did we know it belonged to none other than Chris Forsberg. 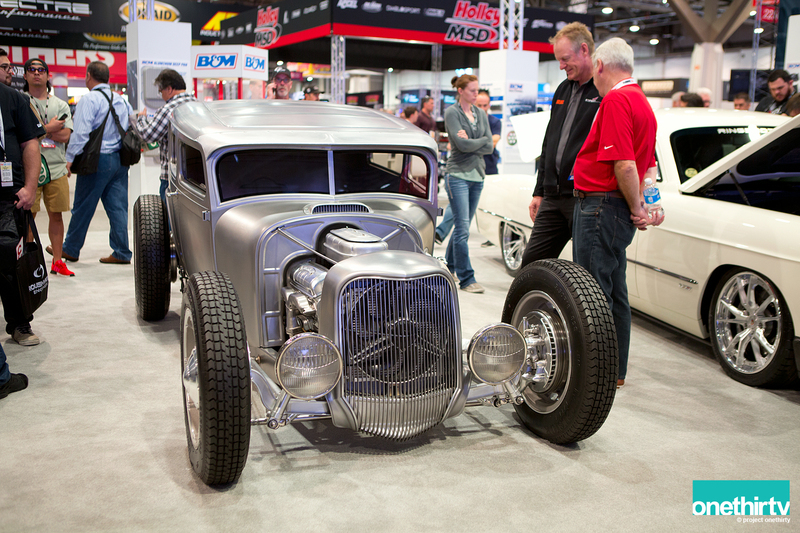 Super nice guy and incredible build, no wonder it won the Super Street Best in Show. 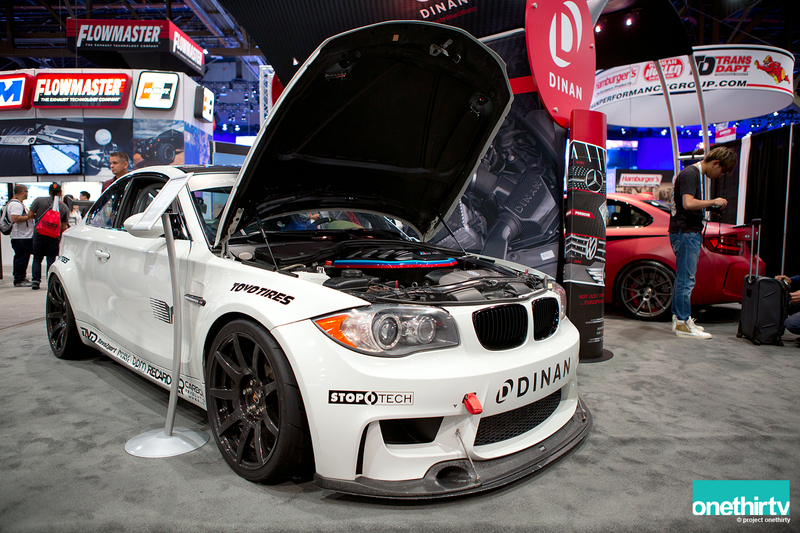 Dinan 1M Clone with a 4.6L S65 stroker engine and Carbon Rev CR-9 wheels. 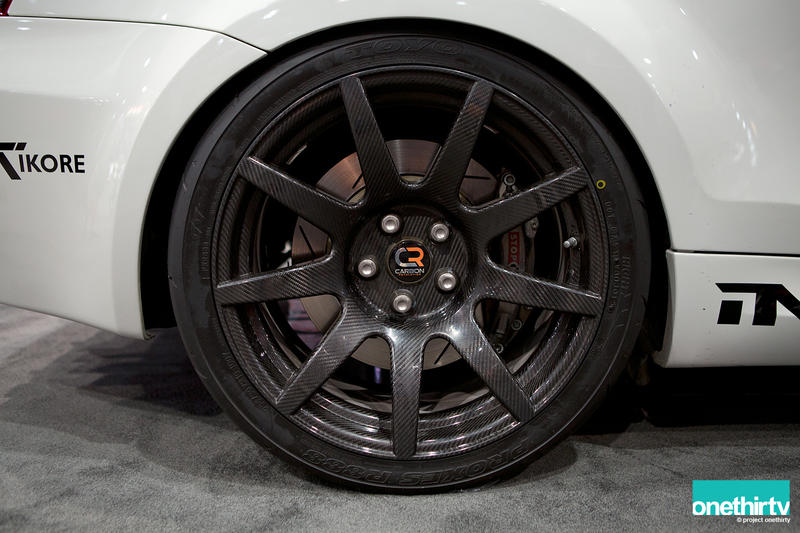 Yep, carbon fiber wheels…will set you back a good $15k. 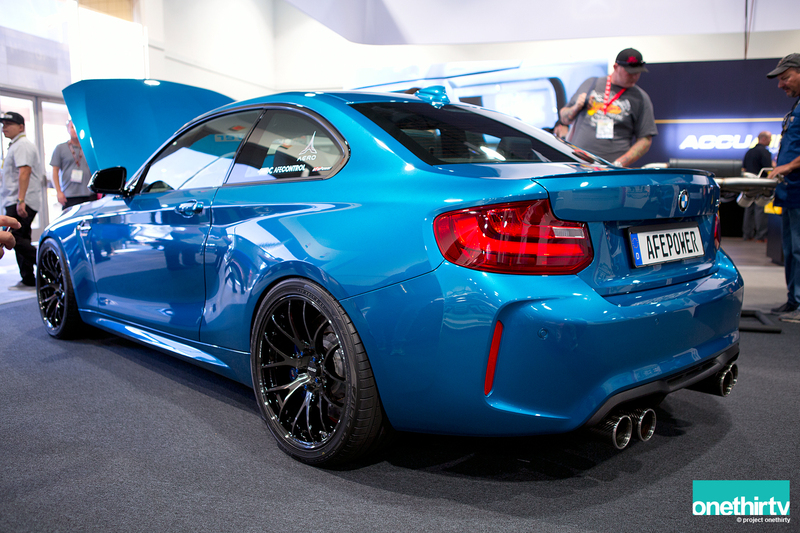 BMW M2 which looked a little tamer than the 1M. 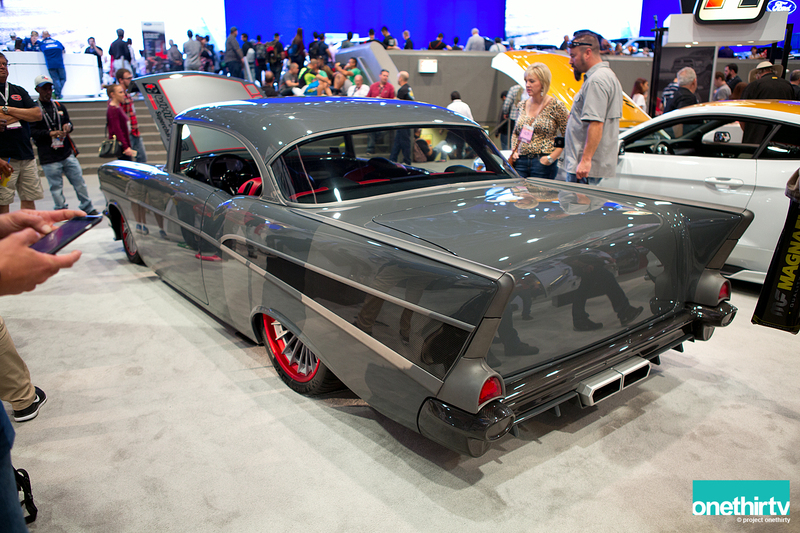 The Hurst Performance Products displayed this 1957 Chevrolet Bel Air with a supercharged L59. Also on display was this 1929 Ford Model A. 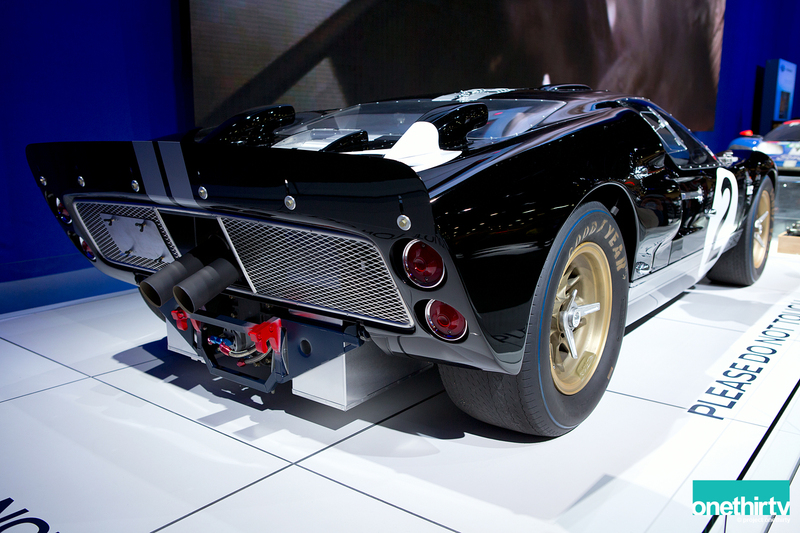 The thing I liked about some of these muscle cars is that, they are drivable. They never seem to be unfinished. 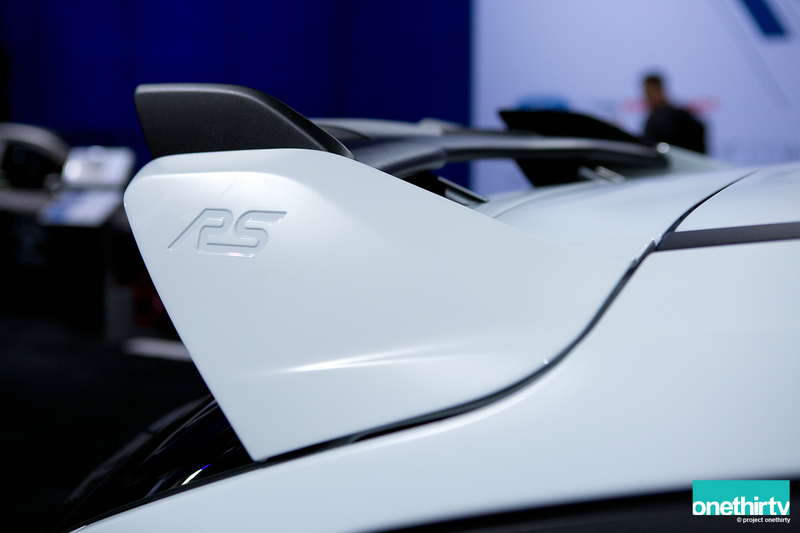 I was actually excited to go to the Ford booth and see what they had for the Ford Focus RS. 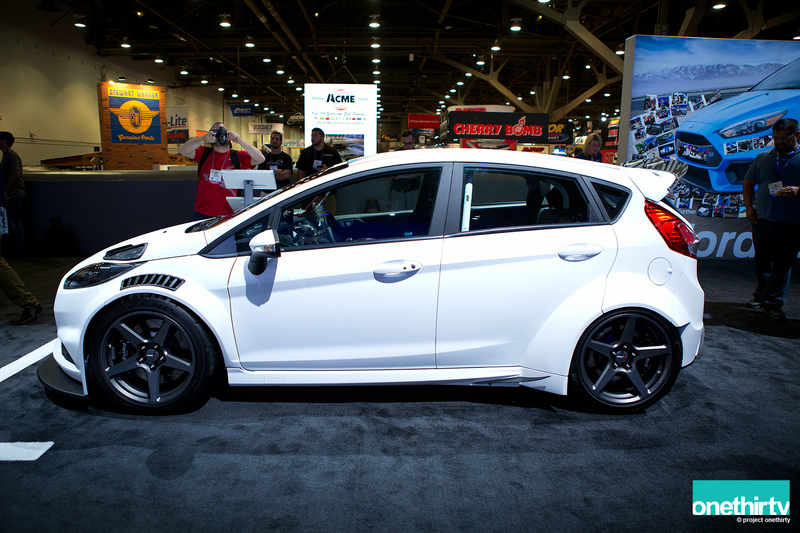 But first I saw this wild Ford Fiesta ST which I ended up liking a lot. 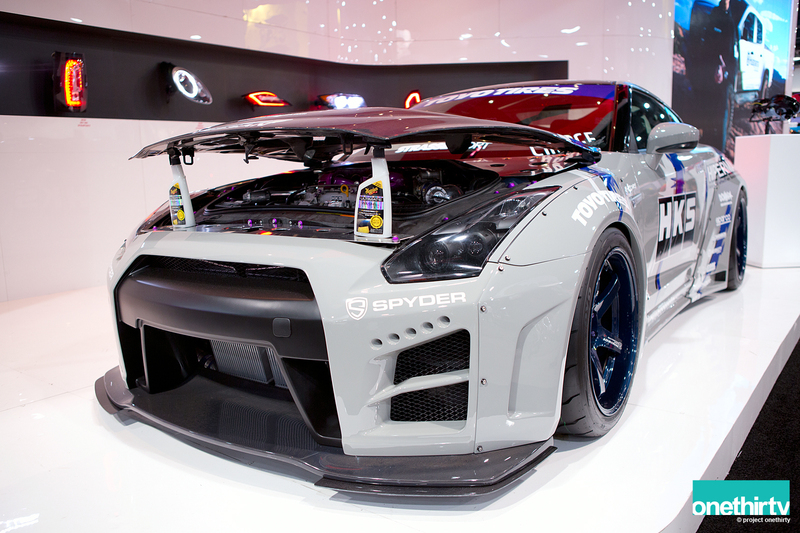 Custom wide body kit and super wide Forgeline CFI wheels. How wide? 18×10 all the way around and 255/40/18 tires. 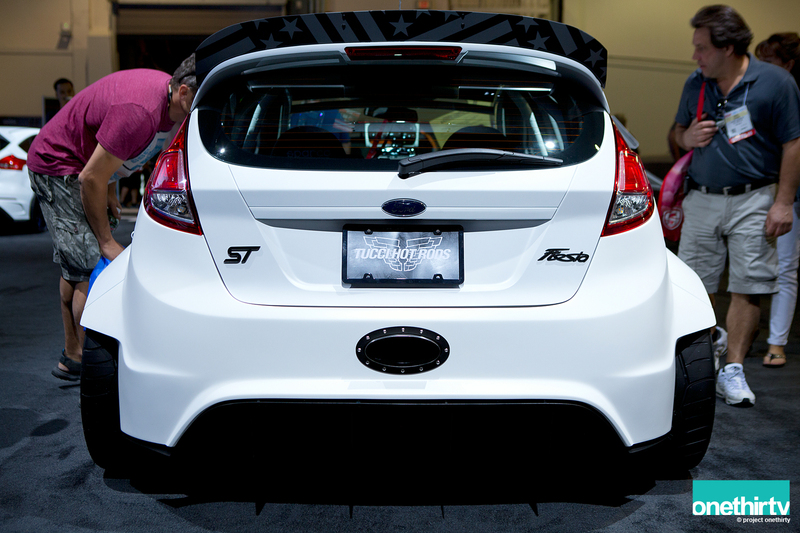 Center-mounted exhaust to keep the aggressive look. 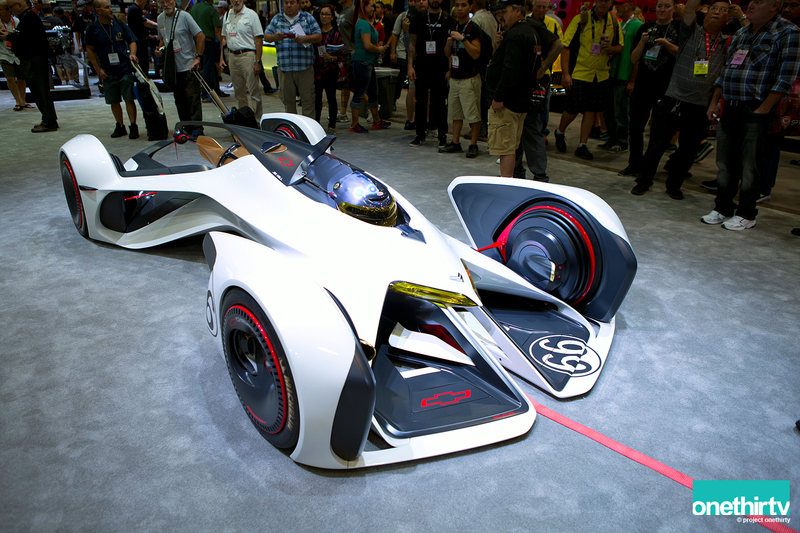 The car does look very aggressive and tight with close tolerances. 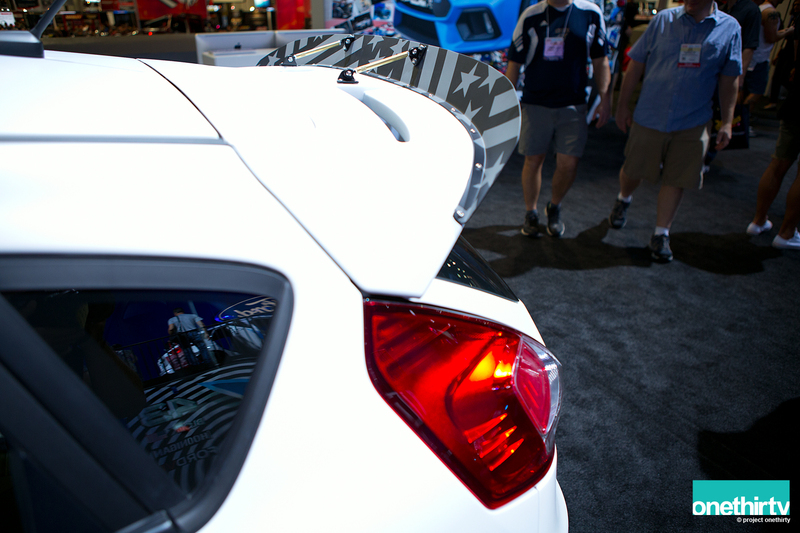 Oh hey, another hatchback that is turbo and AWD…..hmmmm. 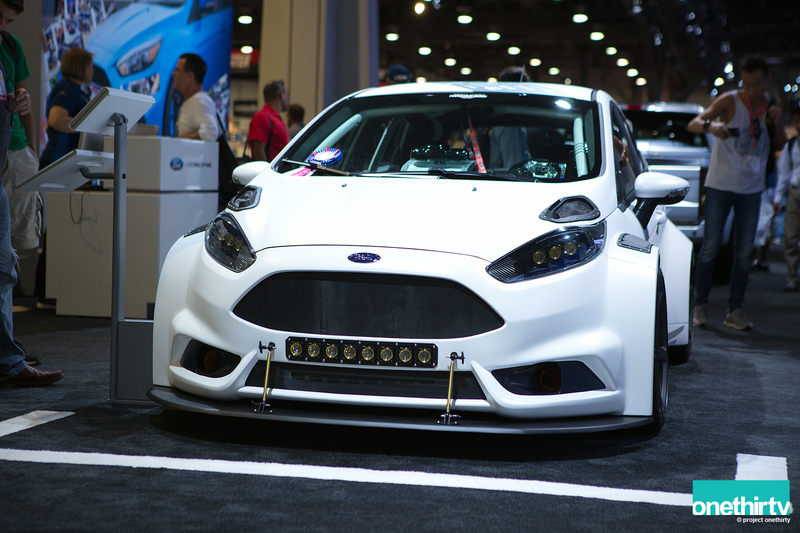 Our local peeps of Full Race built this Ford Focus RS. 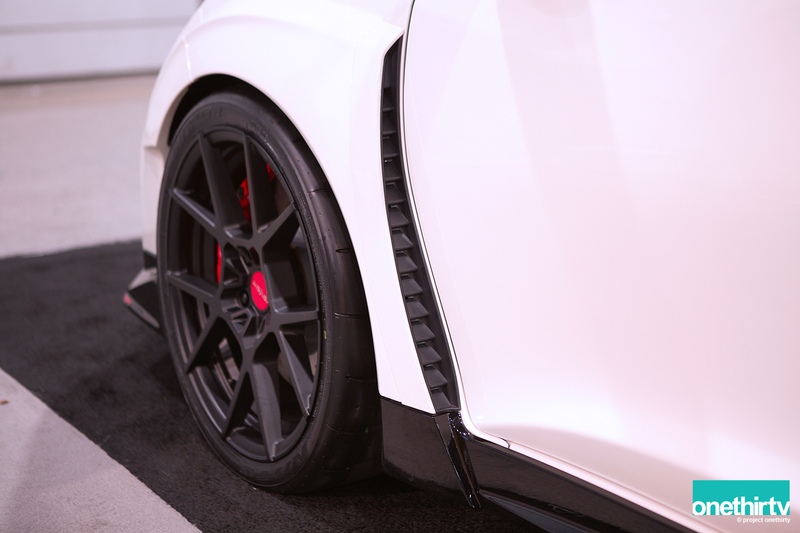 Outside sports a Velox Motorsports front splitter, side splitters and rear diffuser. 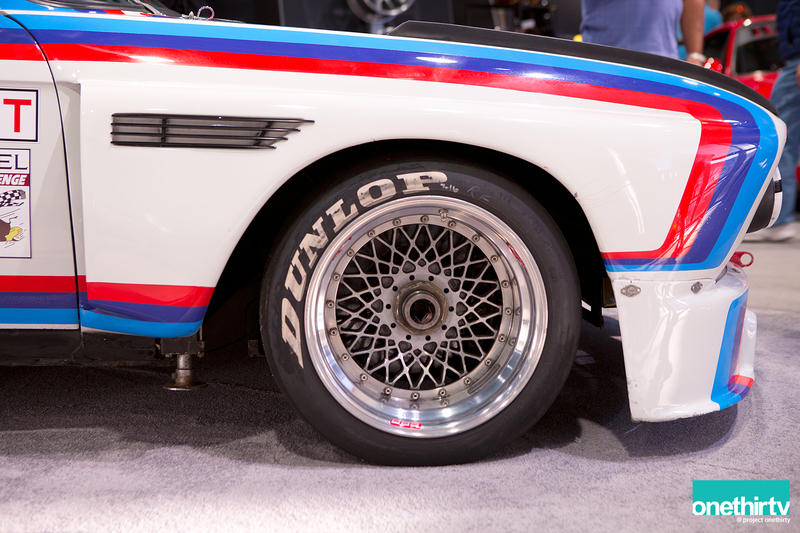 Dedicated Motorsports F110 wheels adorn the wheel wells. 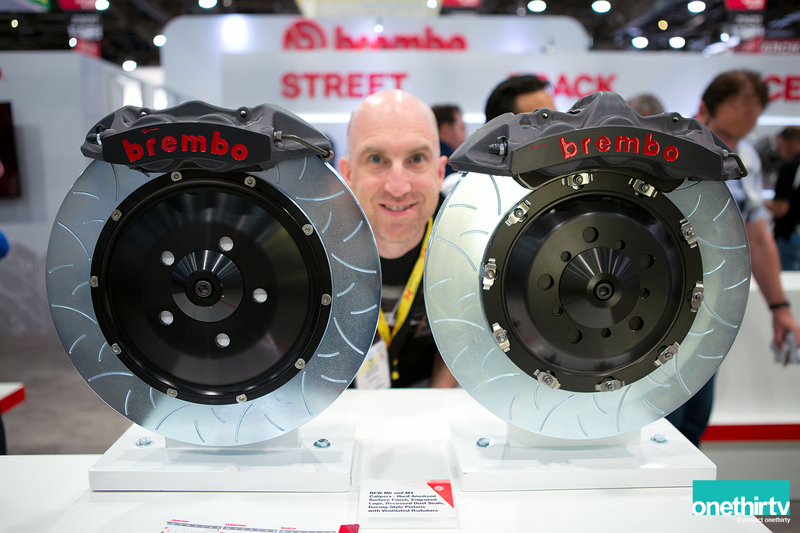 Brembo 6-Piston front calipers clamp around 350×34 mm rotors. 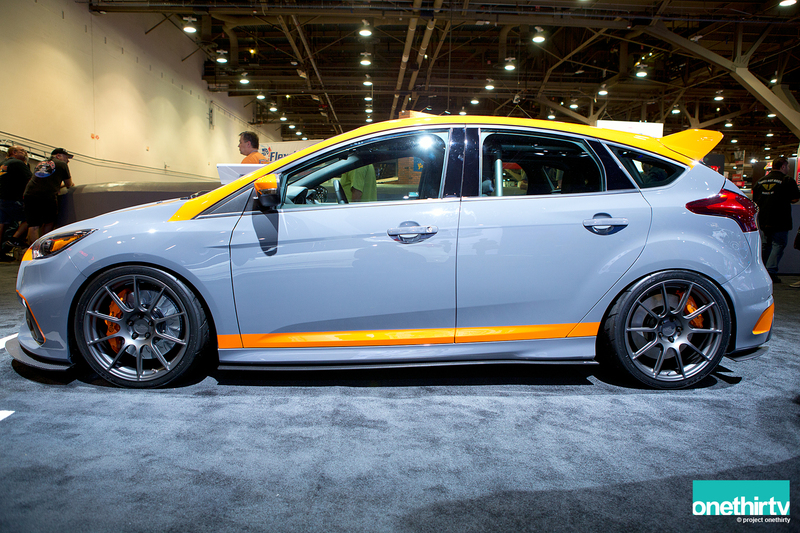 A Roush Focus RS was next to it. 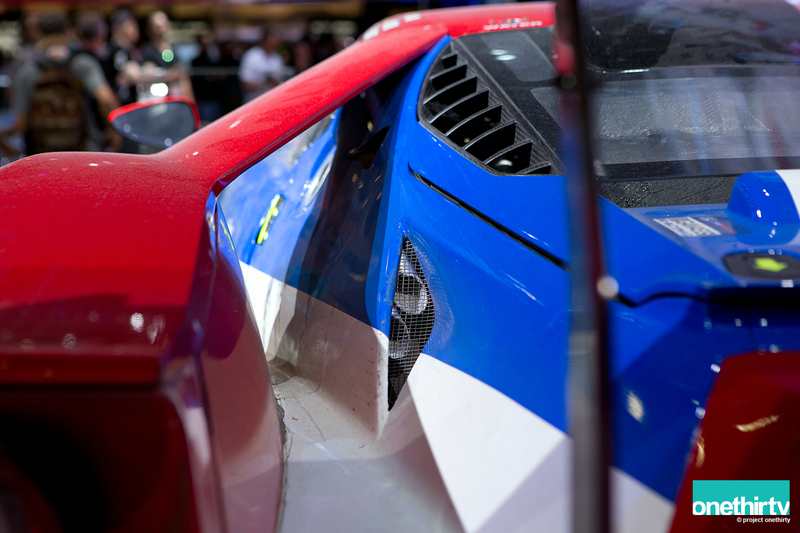 Engine is producing around 500 hp and Roush provides the front splitter, rear wing, side splitters, rear diffuser, and the 19-inch wheels. 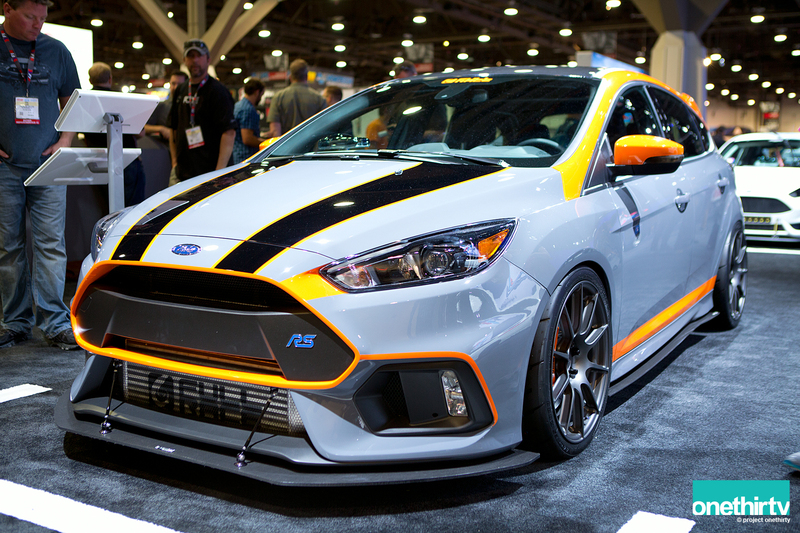 I am a big fan of the Ford Focus RS and was happy to see the aftermarket supporting this model. In my opinion, aesthetically, the Focus RS looks much better than the new Civic Type R. I don’t know how much different the Civic will look once it hits the showroom. 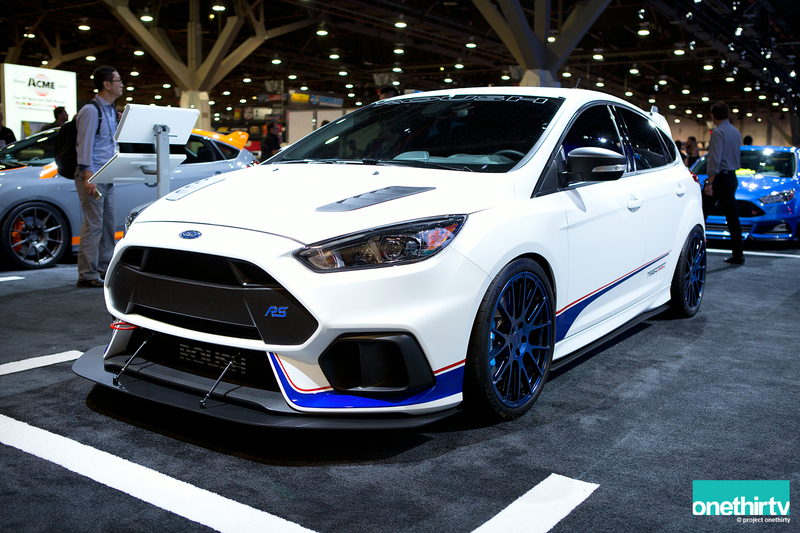 I have not driven the Focus RS and I don’t know how the Type R would drive. What I am happy about is that we are finally getting two great platforms that we can choose from. And that makes everyone a winner. Maybe one day I will be able to drive both and have a better-educated opinion. 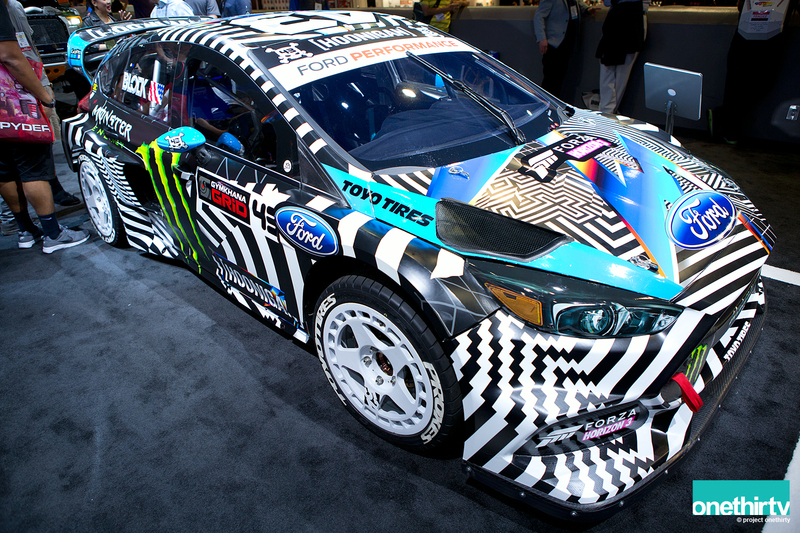 Ken Block’s Ford Focus RS RX #43. I was a little more excited to see the No. 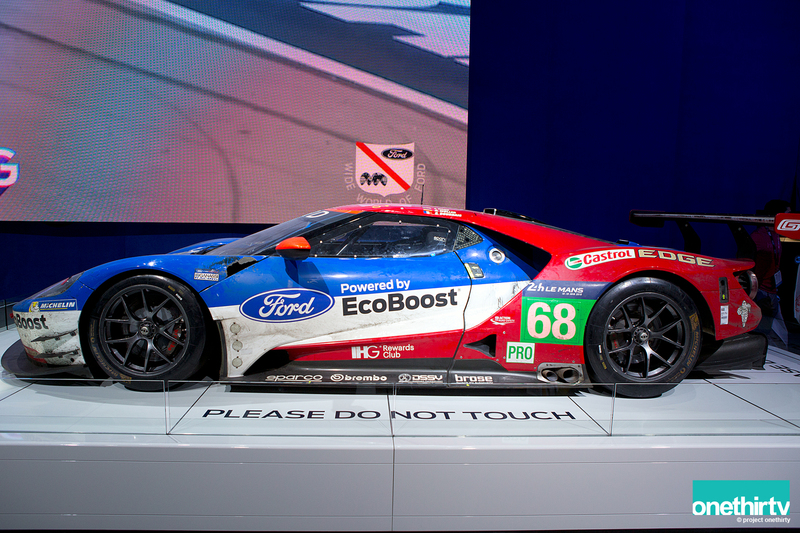 68 Ford Chip Ganassi Racing Ford GT of Sébastien Bourdais, Joey Hand and Dirk Müller. The trio took the No. 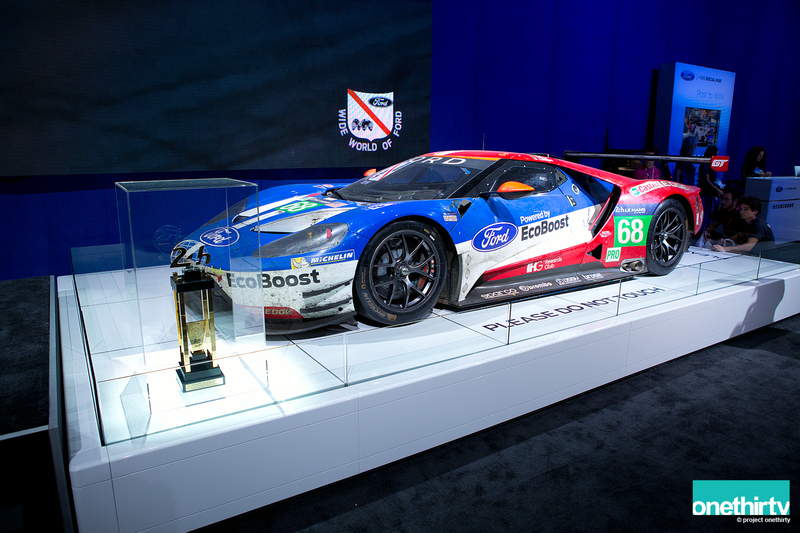 68 car to victory in the LM GTE Pro category at Le Mans. 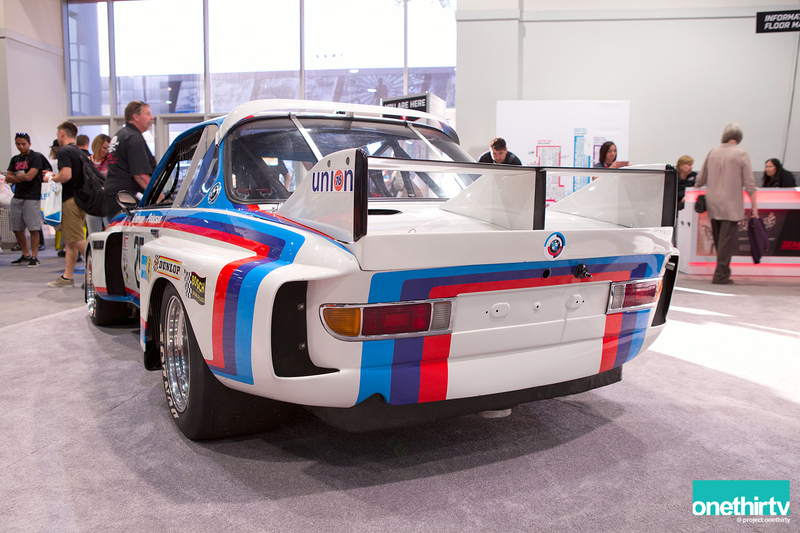 I love how the car was kept exactly how it finished the race, proudly showing those race-scars. 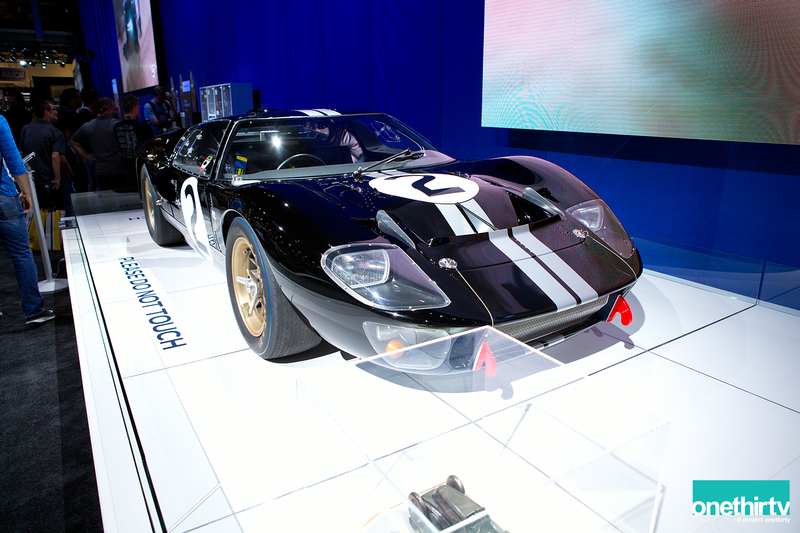 Their victory comes exactly 50 years on from Ford’s 1-2-3 victory at Le Mans in 1966. How fitting to have the No. 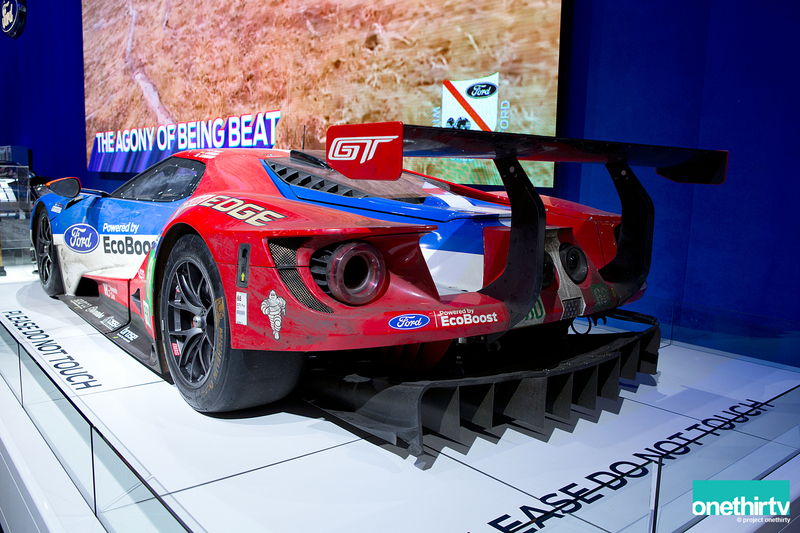 2 Ford GTMk. 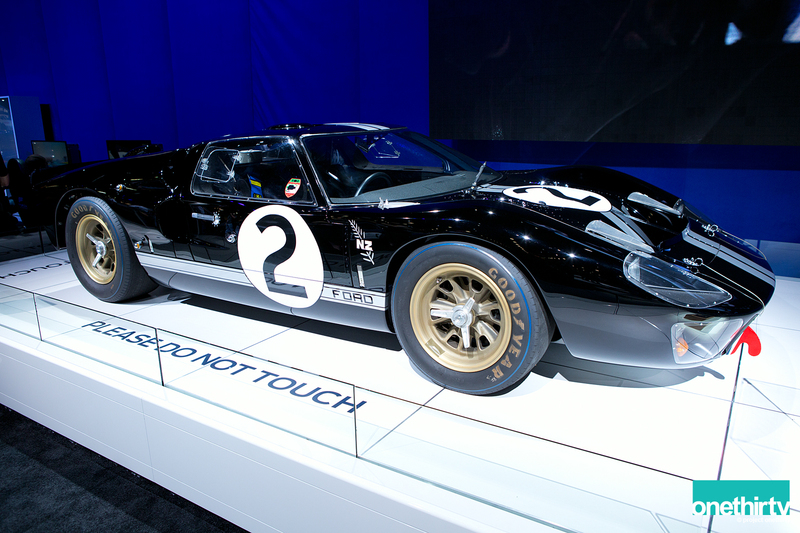 II that won the 1966 Le Mans on display at the 50thyear of SEMA. You can’t make this up. 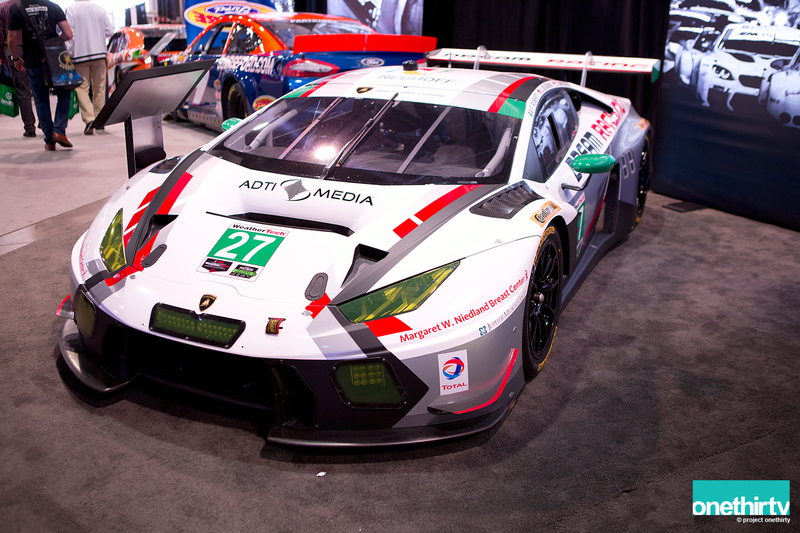 Lamborghini Huracán GT3 competing in the IMSA SportsCar Championship. 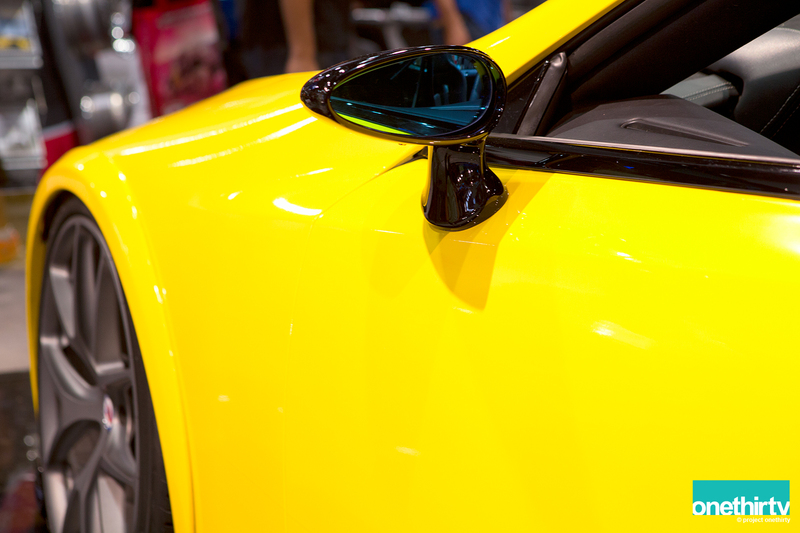 We heard the Injen Technology booth also had a Type R so we went to check it out. The Civic Type R FK2 just looks better. It still displays aggressive lines but it is done a little more tastefully. It is not shouting in your face. I know Matt is a big fan of the FK2, and so are we. 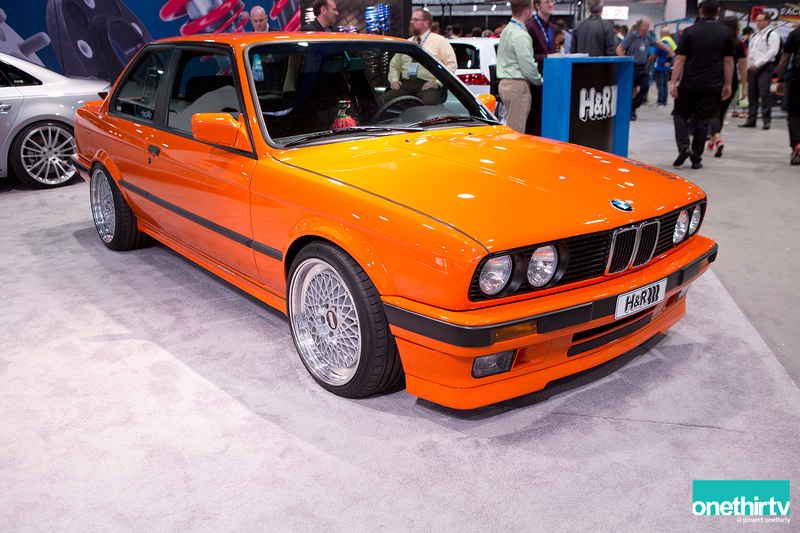 Next to it was this sharp BMW M3 with Rotiform RSE wheels. 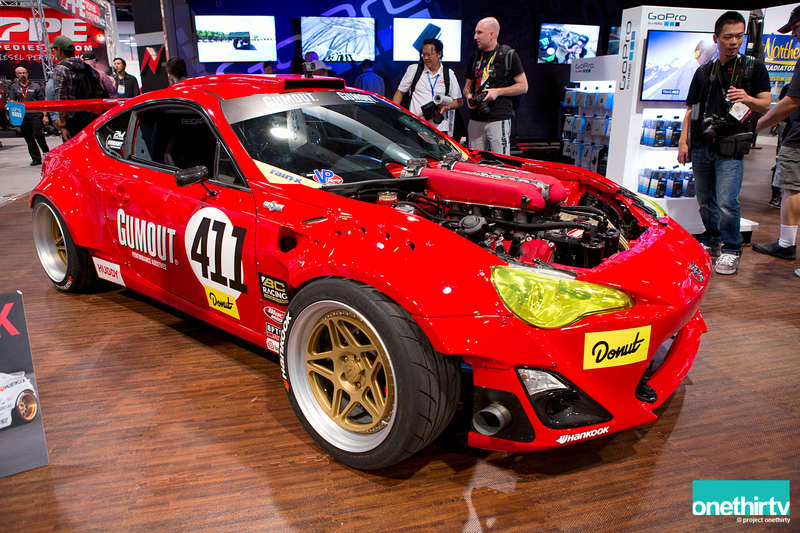 Extremely aggressive FR-S with a Vlene body kit. 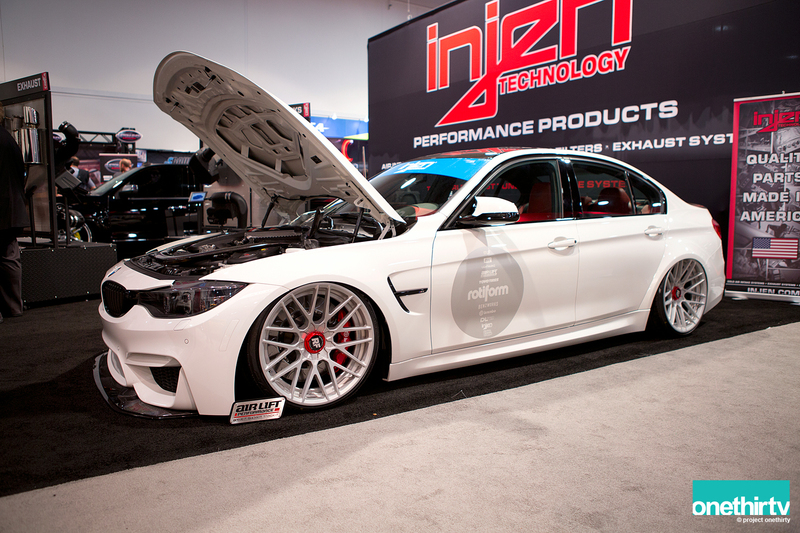 Apparently, from what I heard, the kit is over 100mm wider than oem. That is wide as ever. 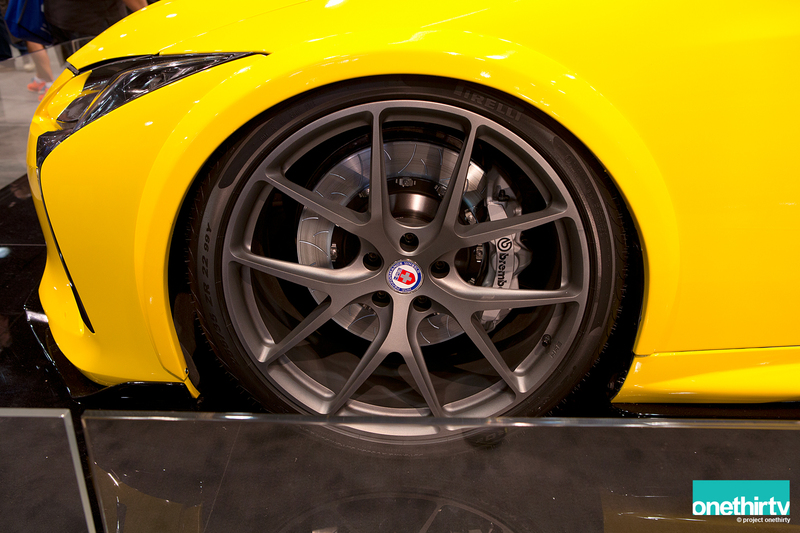 Wheels are Rotiform WGR , with 19×10 at the front and 19×12.5 out back. Just wow. 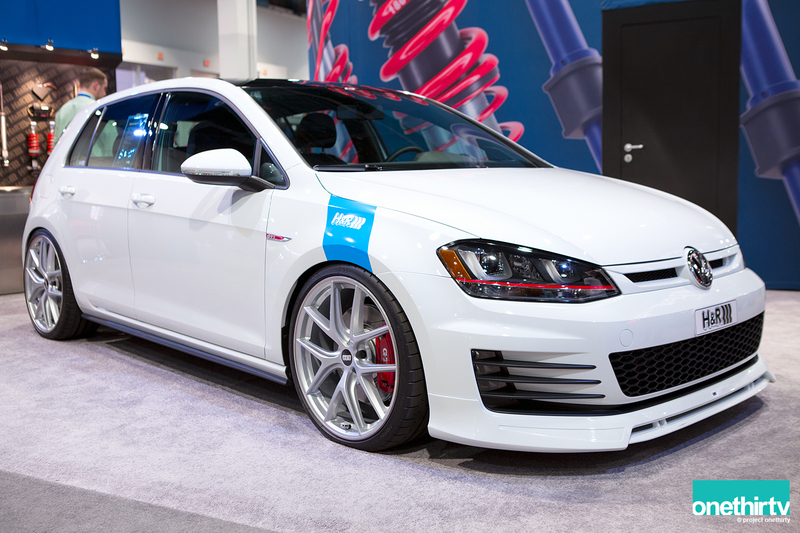 Golf GTI with BBS CI-R wheels at the H&R Springs booth. 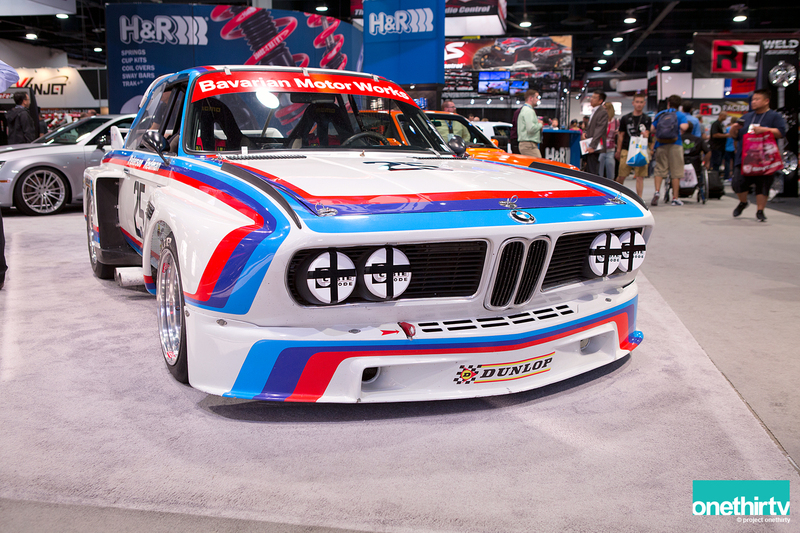 Love the lines of the stock body and the subtle ABT front spoiler and front grill. 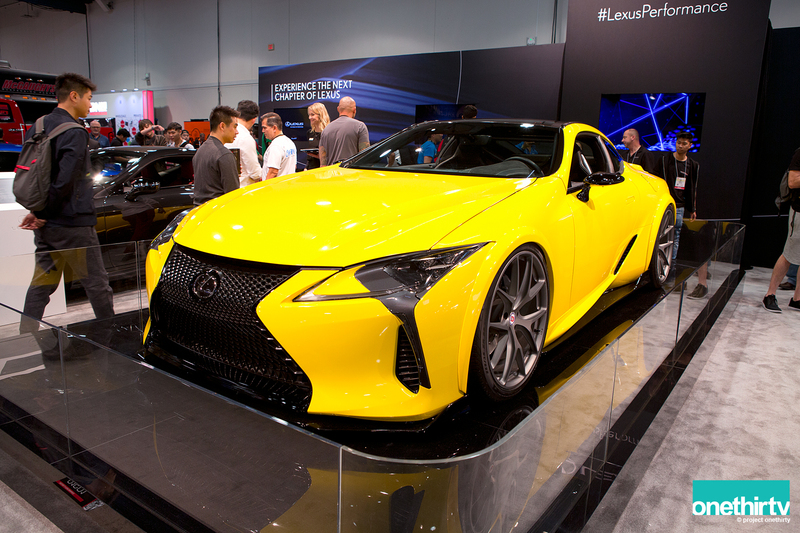 The Lexus booth is also a favorite since they always bring head turners. 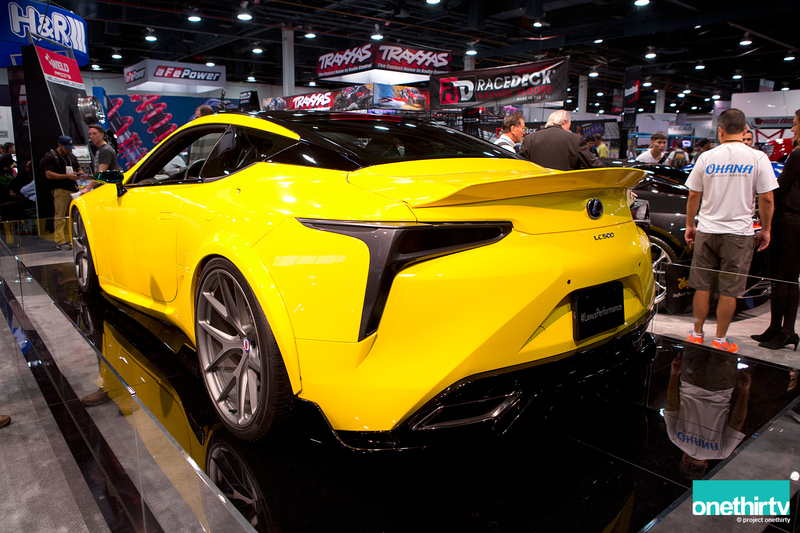 The spotlight was on this yellow LC500; which could be mistaken for an RC F. This concept LC500 is pushing a hair over 500 horsepower and rolls around in HRE 22-inch wheels. These mirrors look awfully familiar. Could it be. 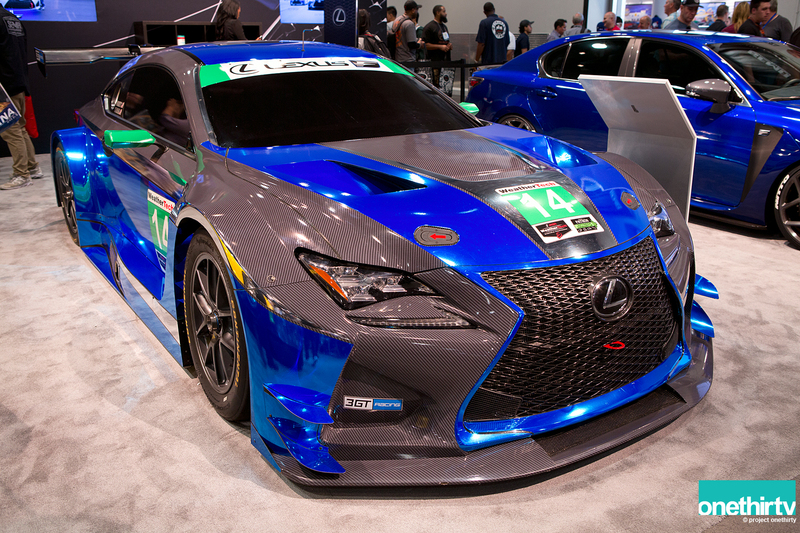 Lexus is also competing in the IMSA SportsCar Championship with this RC F GT3 during the 2016 season. 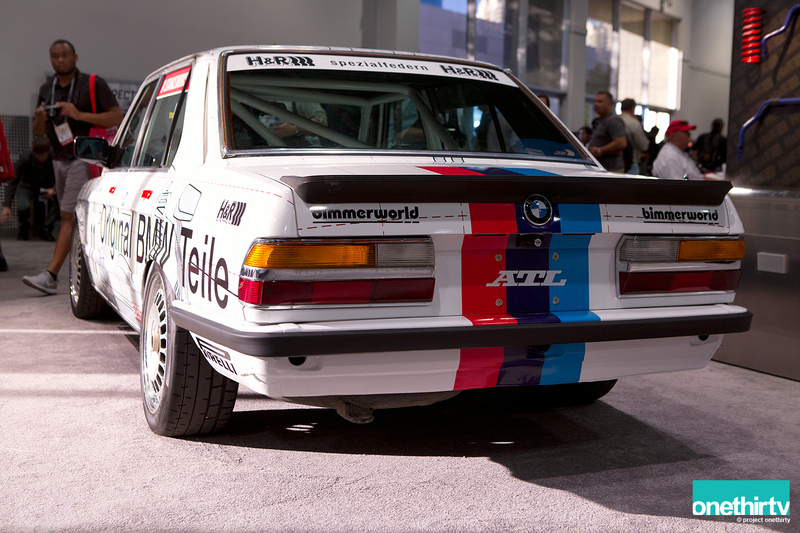 1991 BMW 318is at the H&R booth looks as if it just rolled out from the BMW factory. I love that it looks stock besides the H&R RSS coil overs and BBS E50 wheels. 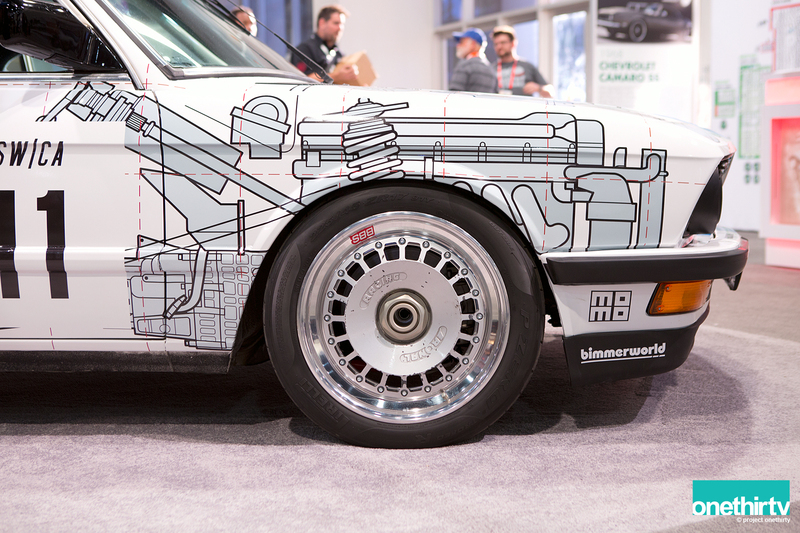 Fun fact, the 318is was one of the cars I learned how to drive a manual transmission with. 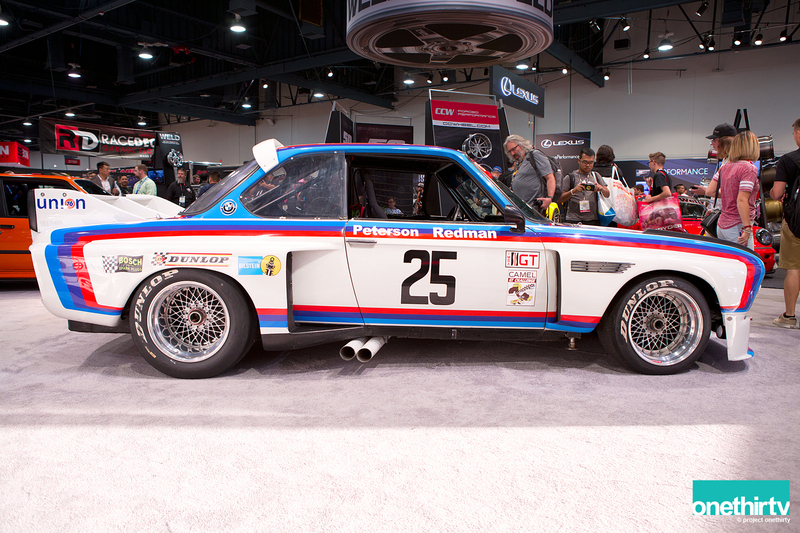 1975 BMW 3.0 CSL racecar “Batmobile” competed in the IMSA Camel GT Series. 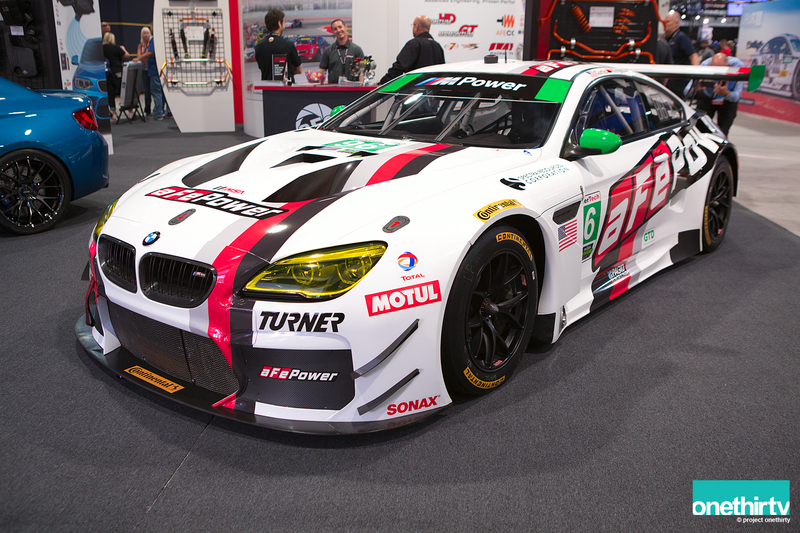 Such a cool racecar. 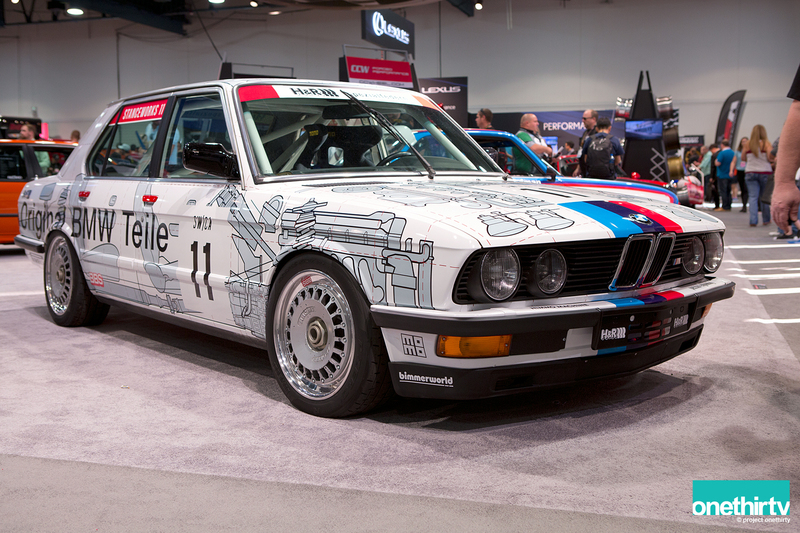 1984 Group A inspired E28 M5 tribute by Stanceworks. 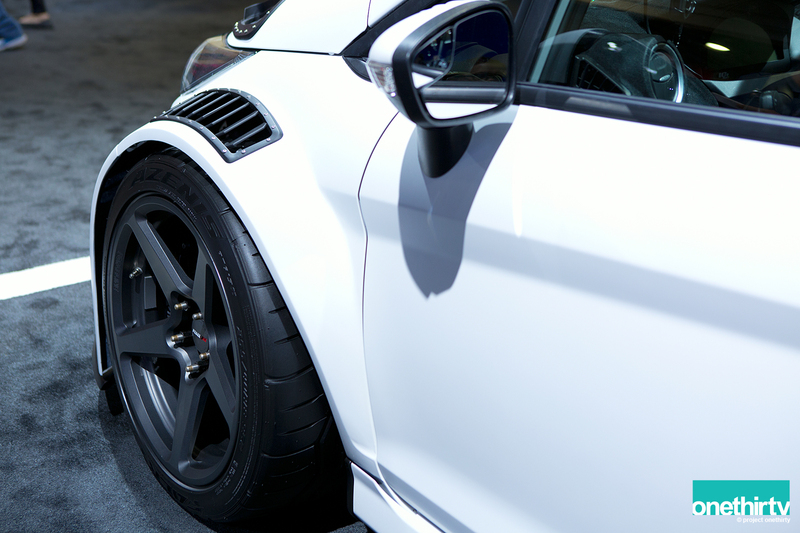 Love the Ronal Racing/BBS wheels. Another RWB 964 at the CCW booth, they were everywhere but you just can’t help to stop and admire their looks. 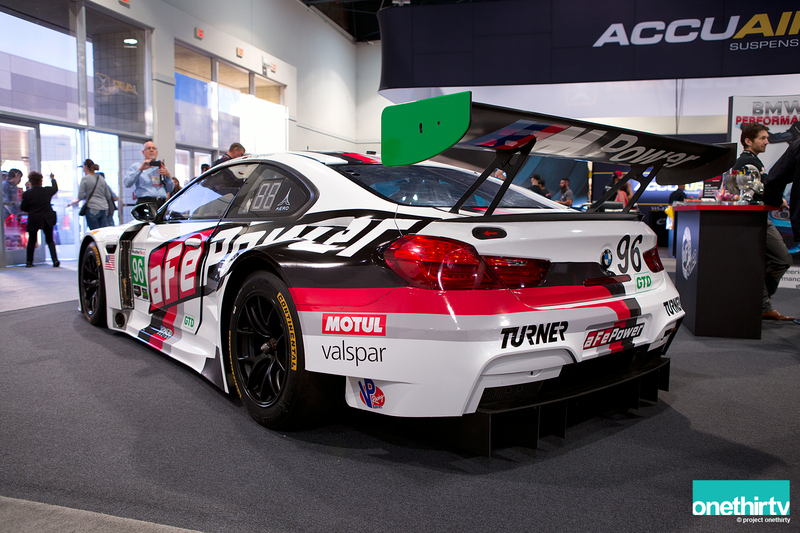 Tuner Motorsports aFe Power BMW M6 GT3 competing in the IMSA SportsCar Championship. 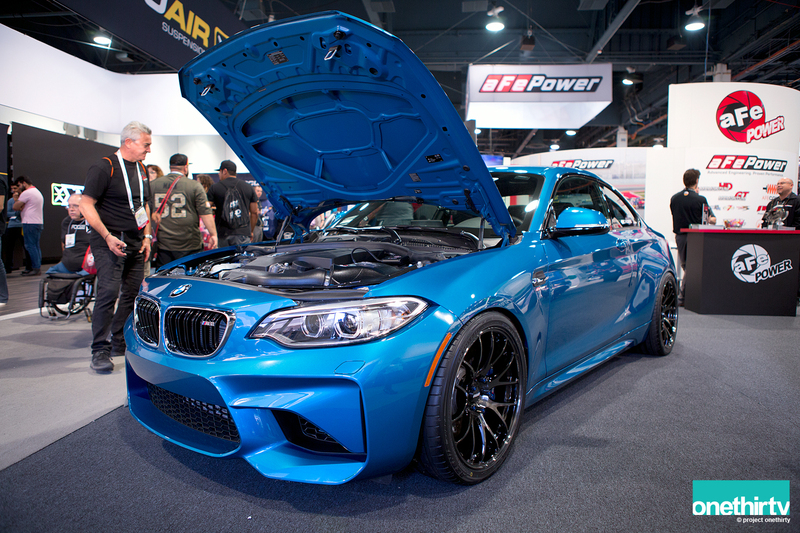 Next to it was a BMW M2. 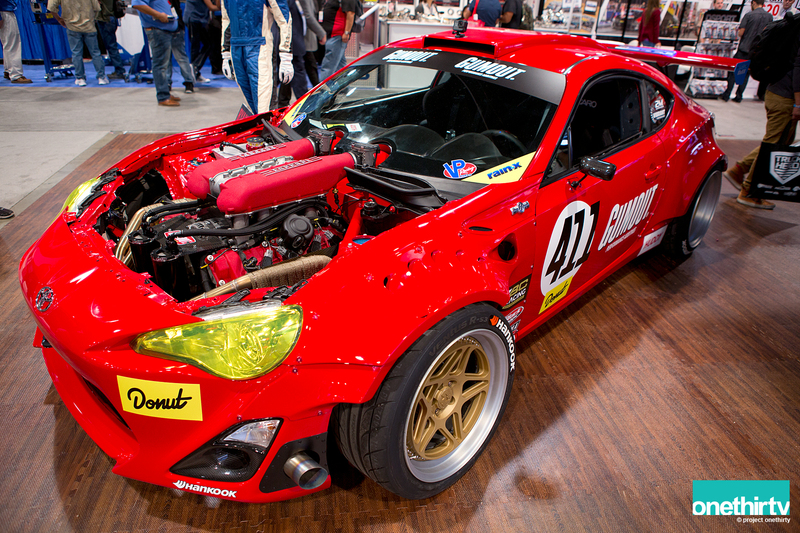 This was another surprise, Ryan Tuerk’s Toyota GT86 fitted with a Ferrari 458 engine. 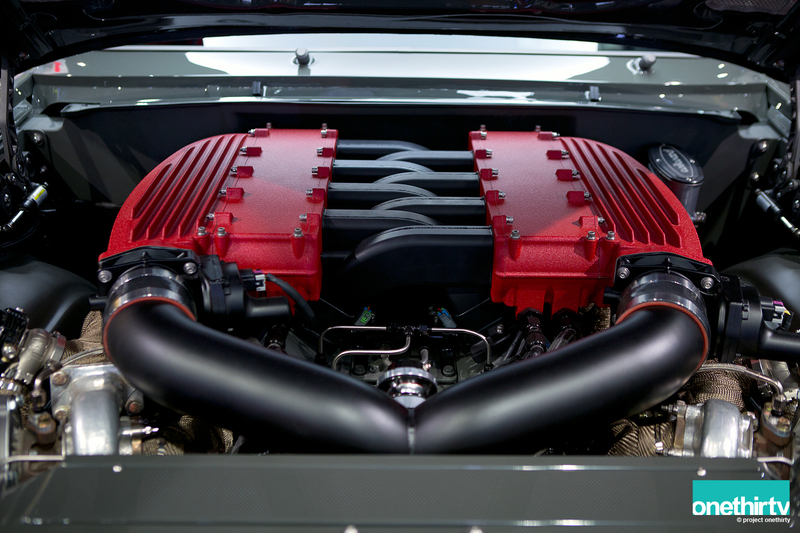 The 2.0 flat-four was ditched in favor of Ferrari’s 4.5 V8 producing 562hp. I’d say that is a big difference. 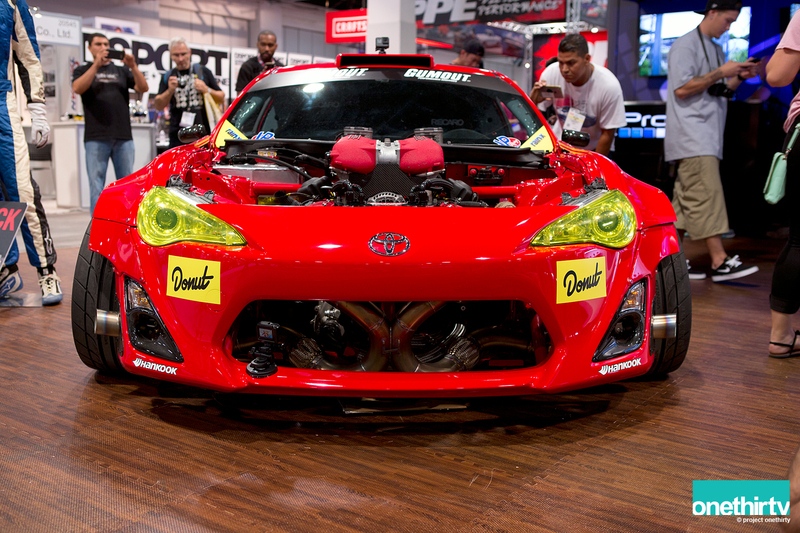 The GT86 looks just as wild as the swapped mentioned. 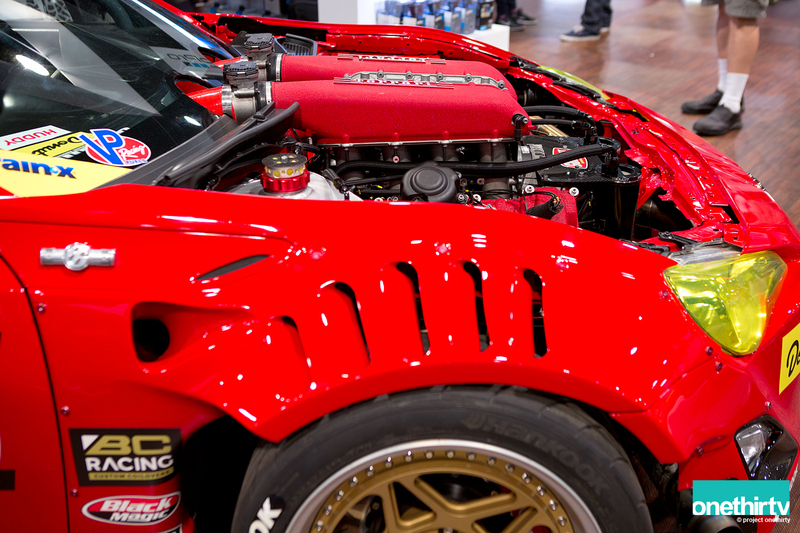 You can see the headers and the exhaust dumping in the front bumper. I don’t know if this was done due to lack of space or if it was performance oriented. 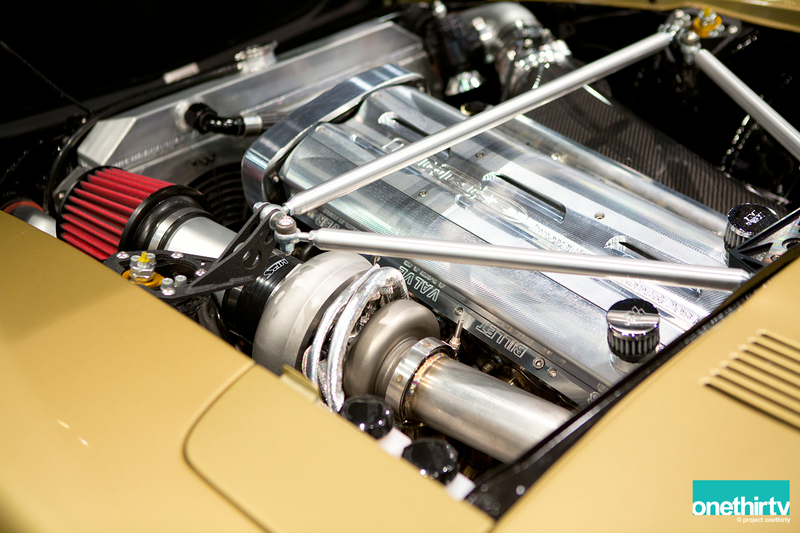 Where are the intake pipes going? At this point it was closing time. I knew that we hadn’t made a dent in covering the halls and we only had one more day but I was so happy to be done with the day. So what do you do after you shoot for 8 hours, you go and shoot some more. Thanks for reading and stay tuned for our last part; day two.